New York Comic Con is this weekend and I am bummed that I won't be in attendance. I shall keep tabs on the happenings via social media and wish all of the nerds in attendance a happy time. 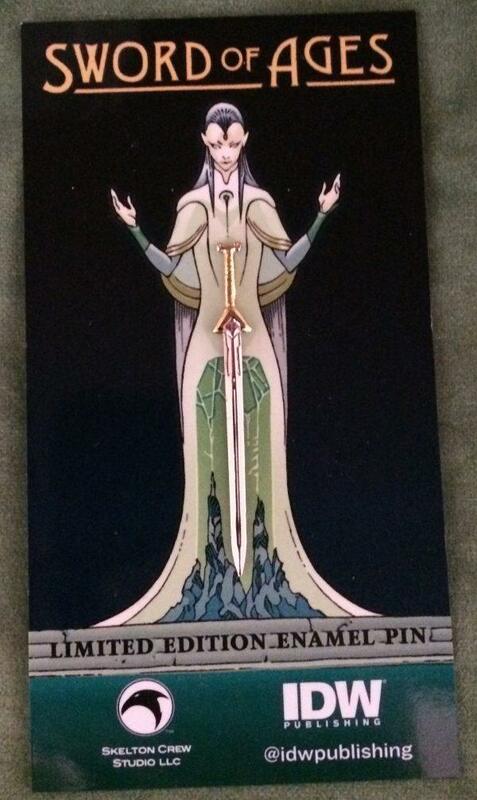 The one exclusive that has risen to the top for me is this Sword of Ages pin from IDW and Skelton Studios. 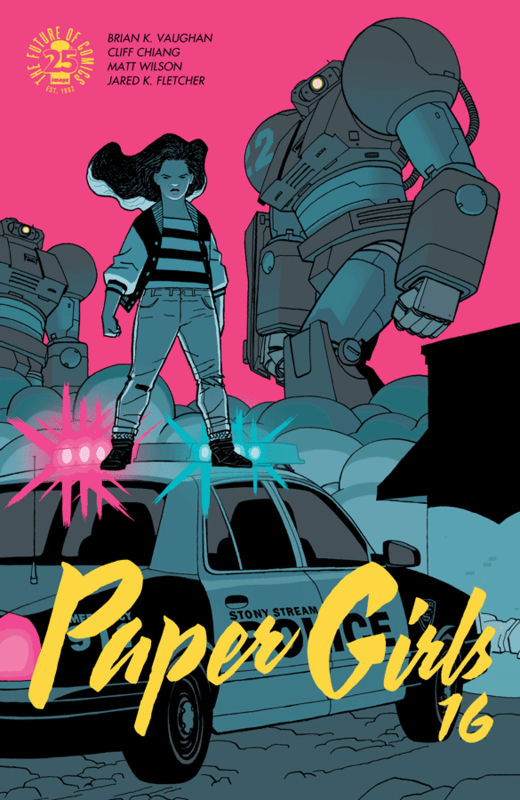 Paper Girls #16 - The girls find themselves in the height of the Y2K madness. Tiffany remains separated from the group and has been apprehended by local law enforcement who don't quite believe she is from the late 80's. Unknown to them, the girls are in violation of the article of The Concordat and are more closely connected to time travel than they ever expected. Their entanglement in all of this chaos seemed to be a mere coincidence, but it appears as if we are going to learn more about the girls' past and why they are at the heart of this attack. Since the normal monsters are not ready for battle, the nuclear option is used and we are treated to giant Robots. This comic continues to take unexpected twists and turns that are an absolute delight. 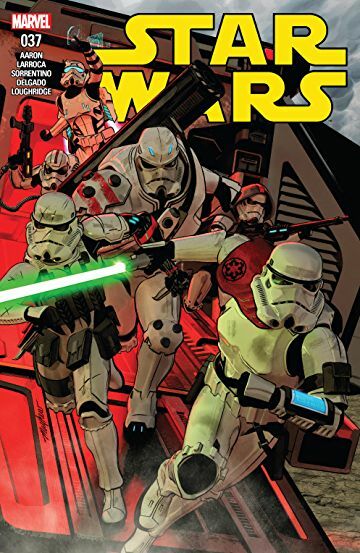 Star Wars #37 - Things are heating up as the Special Commando Advanced Recon or Scar Squadron are on a mission for Vader to hunt down the latest Rebel encampment and deliver Luke Skywalker. Leading the Scar Squadron is Sergeant Kreel, a lightsaber wielding trooper who I just can't get behind. His brutal squad decimates a Rebel camp to draw the attention of Skywalker, Princess Leia, and Han Solo. The issue sets the scene for the next big arc and definitely is building towards all out war, but the second story absolutely steals the show. "The Sand Will Provide" gives us some insight to what life on Tatooine is for the Tusken Raiders. It shows the ugly side of discrimination and how they are misunderstood. It is a really heartwarming story that highlights the kindness of Obi Wan and is well worth the cost of the issue. 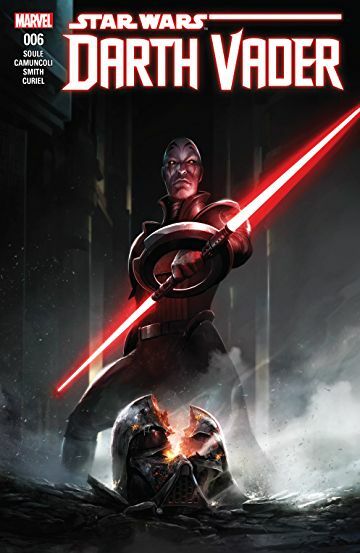 Darth Vader #6 - After enjoying the Inquisitors in Star Wars: Rebels we are provided some background on their origin and how the Emperor used them and Vader for his own gains. When we left off Vader had just acquired his light saber, but at the cost of his armor. Using the force, Vader repairs his armor and the Emperor grants him authority over the Inquisitors to hunt down any remaining Jedi. A simple issue that sets the scene for the onslaught that will continue throughout the next arc. 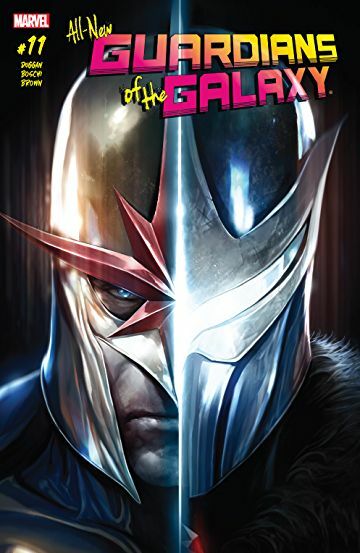 All-New Guardians of the Galaxy #11 - Stunning issue of All-New Guardians! In an issue that doesn't include a single Guardian, we learn more about the Raptors and why they mucked things up in the last issue. They are in a quest for the Infinity Stones and are using Nova's younger brother to help them in their quest. Nova just learned that his brother is still alive, but is unaware of this plot. Should set up some interesting tension as this series moves forward. 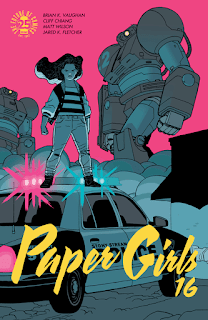 It was odd to read such a serious issue of this series, but Gerry Duggan appears to be laying the groundwork for an exciting arc.